Saint Joseph For You Too! St. Joseph prayers, (whether you are at St. Joseph Hospital, St. Joseph Missouri, St. Joseph College, St. Joseph News Press, St. Joseph Michigan, St. Joseph Oratory or St. Joseph State Park - or at home) please enjoy these prayers to St. Joseph. You can use them quite appropriately by themselves or as a St. Joseph Novena! O ST. JOSEPH, whose protection is so great, so strong, so prompt before the throne of God, I place in thee all my interests and desires. O St. Joseph, assist me by thy powerful intercession and obtain for me all spiritual blessings through thy foster Son, Jesus Christ Our Lord, so that, having engaged here below thy heavenly power, I may offer thee my thanksgiving and homage. O St. Joseph, I never weary contemplating thee and Jesus asleep in thine arms. I dare not approach while He reposes near thy heart. press Him in my name and kiss His fine head for me, and ask Him to return the kiss when I draw my dying breath. St. Joseph, Patron of departing souls, pray for me. THIS PRAYER WAS FOUND IN THE 5OTH YEAR OF OUR LORD AND SAVIOR JESUS CHRIST. IN 1505 IT WAS SENT FROM THE POPE TO EMPEROR CHARLES WHEN HE WAS GOING INTO BATTLE. WHOEVER SHALL READ THIS PRAYER OR HEAR IT OR KEEP IT ABOUT THEMSELVES SHALL NEVER DIE A SUDDEN DEATH OR BE DROWNED, NOR SHALL POISON TAKE EFFECT ON THEM -- NEITHER SHALL THEY FALL INTO THE HANDS OF THE ENEMY OR BE BURNED IN ANY FIRE OR BE OVERPOWERED IN BATTLE. SAY FOR NINE MORNINGS FOR ANYTHING YOU DESIRE. IT HAS NEVER BEEN KNOWN TO FAIL. Day 1: "Dear St. Joseph, today we honor you as foster-father of Jesus Christ. As Jesus obeyed your every request on earth as a command, we know that He would not change now that you are at His side in Heaven. Please pray for our families and our petitions (name them). St. Joseph and Brother Andre, pray for us!" Day 2: St. Joseph, today we honor you as the virginal spouse of Mary. Ask Jesus for an increased devotion to the Blessed Virgin Mary and yourself. St. Joseph and Brother Andre hear our petitions (name them). St. Joseph and Brother Andre, pray for us. Day 3: St. Joseph, today we honor you as the man chosen by God, to be the person closest to Jesus and Mary. May we honor God through this immense honor He gave to you. St. Joseph, and Brother Andre, hear our petitions (name them). Day 4: St. Joseph, today we honor you as God's faithful servant. Inspire us to be just as faithful to Him. St. Joseph and Brother Andre, hear our petitions (name them). 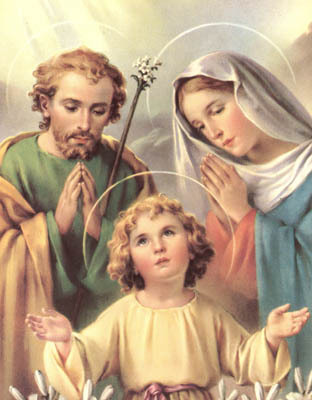 Day 5: St. Joseph we honor you as Patron of the Universal Church. You were given this designation long ago in the hearts of Catholics. May we come to seek your protection always. St. Joseph and Brother Andre, hear our petitions (name them). Day 6: St. Joseph, we honor you today as Patron of Families. You watched out for Jesus and Mary at all times. Bring our families closer together in our walk to His eternal kingdom. St. Joseph and Brother Andre, hear our petitions (name them). Day 7: St. Joseph, today we honor you as Patron of Workers. We pray for the unemployed, underemployed, those who are working under stress and all those who labor daily. May you be our example of honorable work for God. St. Joseph and Brother Andre, hear our petitions (name them). Day 8: St. Joseph, We honor you as Friend of the Suffering. We ask your help with those of us and in our families who are sick. Please grant them all possible assistance in God's will for their lives. St. Joseph and Brother Andre, pray for our petitions (name them). Day 9: St. Joseph, Patron of a Happy Death, today we ask you to be our patron at the moment of death. May you lead us to Jesus safely away from any temptation at the last moment. St. Joseph and Brother Andre, pray for our petitions (name them). Lord Jesus, I consecrate myself to you this day (or night), to your Sacred Heart and to Your Holy Wounds, through the Immaculate Heart of Mary, Help of all Christians, through St. Joseph, Patron of Fathers and Workers, my guardian angel and all the angels and saints, especially Brother Andre...(name your patron saints). Let every beat of my heart and breath that I take be in reparation of my sins, the sins of the whole world, the sins of those in Purgatory, especially any family or friends and in seeking your Divine Mercy upon all of us. I offer myself in conjuction with the Holy Sacrifice of the Mass offered throughout the world, past, present and future. Eternal Father, I offer you the Wounds of Our Lord Jesus Christ, to heal the wounds of our souls. My Jesus, pardon and mercy through the merits of Your Holy Wounds. St. Joseph and Brother Andre, patrons of the sick and dying, have mercy on them, on those who I have promised to pray for, and for the souls in Purgatory. (Name your special petition.) Amen. To you, O blessed Joseph, do we come in our tribulation, and having implored the help of your most holy spouse, we confidently invoke your patronage also. Through that charity which bound you to the immaculate Virgin Mother of God and through the paternal love with which you embraced the Child Jesus, we humbly beg you graciously to regard the inheritance which Jesus Christ has purchased by his Blood, and with your power and strength to aid us in our necessities. O most watchful Guardian of the Holy Family, defend the chosen children of Jesus Christ; O most loving father, ward off from us every contagion of error and corrupting influence; O our most mighty protector, be propitious to us and from heaven assist us in our struggle with the power of darkness; and, as once you rescued the Child Jesus from deadly peril, so now protect God's Holy Church from the snares of the enemy and from all adversity; shield, too, each one of us by your constant protection, so that, supported by your example and your aid, we may be able to live piously, to die holily, and to obtain eternal happiness in heaven. Amen. Lord, have mercy on us. Christ have mercy on us. Lord, have mercy on us. Christ, hear us. Christ graciously hear us. Lamb of God, Who takes away the sins of the world, spare us O Lord. Lamb of God, Who takes away the sins of the world, graciously hear us O Lord. He made him the lord of His household, and prince over all His possessions. O God, who in thy ineffable Providence did vouchsafe to choose St. Joseph to be the spouse of Your most holy Mother, grant we beseech You, that he whom we venerate as our protector on earth may be our intercessor in Heaven. Who lives and reigns forever and ever. Amen. St. Joseph and Brother Andre, I turn to you now for my well-being. You never abandoned those who turned to you in prayer. Whatever the pain and suffering I am going through right now can be alleviated by your intercession for me with Jesus. Please ask Him for me. I know a request from you St. Joseph is treated by Jesus as a command, just like on earth. Brother Andre, who has the ear of St. Joseph, ask him to ask Our Lord for me. I promise that I will publish my testimony so others may have faith in you also. Please hear my prayers. (Mention your petitions.) St. Joseph and Brother Andre, pray for me!